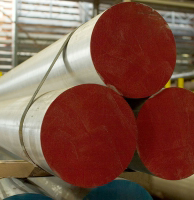 EMJ offers a broad array of bar inventory in commercial and aircraft alloys, carbon, stainless, brass, hard and soft alloy aluminum. In stock shapes include round, square, hex and rectangle. Bearing quality bars and VAR are also in stock. EMJ’s depth of bar inventory is unmatched in the industry.